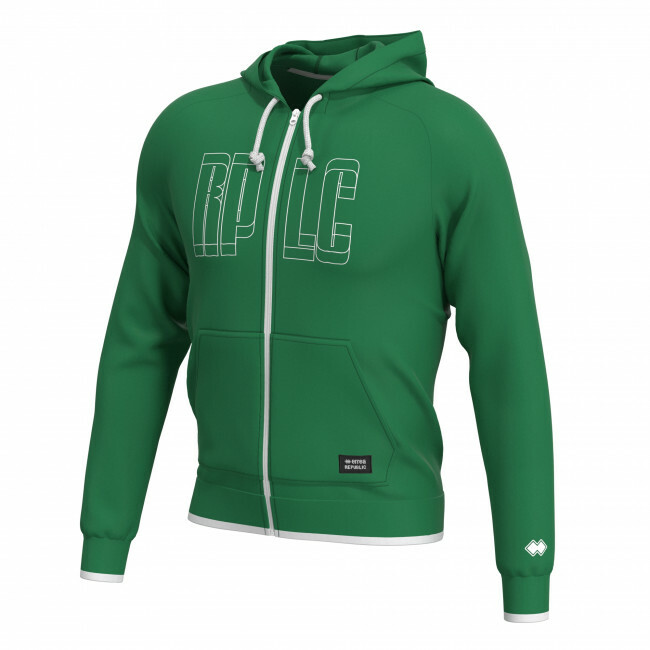 Boys’ zip-up hoodie made from soft fabric for maximum comfort. The make with raglan sleeves guarantees optimum freedom of movement. The hood with adjustable drawstring provides customized protection. The elasticated cuffs and waist band guarantee carefree and lasting wearability. The design is embellished by the 3-D effect writing paying tribute to the Erreà Republic line. Complete with side pockets. Composition: Summer Elastic Fleece 95% Cotton, 5% Elastane.